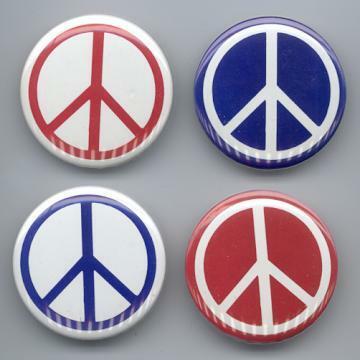 PEACE SIGN PINBACK BUTTONS 4 DIFFERENT 1980's Here's a set of 4 different 1980's licensed 1 3/8 inch pinback buttons in near MINT condition The photo is showing reflections from the scanner. The pins are perfect. 2.00 U.S.A. Shipping and Insurance. For International and Canadian shipping, email after winning for shipping charges. Pay me securely with any major credit card through PayPal!